Bahm Demolition, Inc. opened GreenPoint Construction and Demolition Processing Facility in Topeka, Kansas in 2007. Nationwide, landfills are being exhausted of their remaining capacity, and few new landfills are opening to offset the looming space crisis. Meanwhile municipal, construction and demolition and special wastes continue to flow in greater volumes than ever before. Handling the country’s waste stream has become a major problem for our local municipalities. With more waste created daily, our landfills are facing a capacity crisis. One way to minimize the capacity issue is to reduce the amount of construction and demolition landfill waste entering our landfills. Bahm Demolition, Inc. has developed a solution for reducing the capacity at our landfills in Topeka and Shawnee County, Kansas and the surrounding area by capitalizing on the benefits of processing the construction and demolition waste. The material brought to GreenPoint is processed into reusable products that are then resold to the general public. Examples of the processes used to transform the waste materials into reusable products includes the crushing of concrete, asphalt, and brick products into reusable gravel or base material; the grinding of asphalt shingles to be used in the preparation of road asphalt; and the chipping of wood products to be used for mulch or to be reused in the production of consumer energy. Steps are taken to process every bit of material that enters the facility into a product that can be used by either an end consumer or in the production of a consumable product. The facility serves residential, commercial, and industrial entities in the City of Topeka, Shawnee County, and bordering counties. The waste stream is new construction, demolition renovation for construction, commercial and industrial waste (pallet and cabinetry construction), roofing, residential renovation, and demolition waste. Hours of operation are Monday – Friday 7am to 5:00 pm and Saturday from 8 am to 1 pm. Contact us at 785-234-6000 for more details. 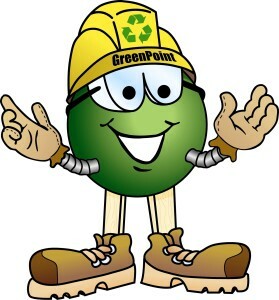 Click here to go to Greenpoint's Website.